“ … Personnel. That’s for assholes.” – Clint Eastwood as “Dirty Harry”. Your company was just acquired. Your firm “merged” with another company. Your new boss is an outsider, who knows next to nothing about you. Consider each-and-every one of these changes to be a flashing-red-light warning or a shot across-the-bow of your career. . There are always winners and losers when it comes to mergers and acquisitions. Ditto for new bosses, particularly those from outside the organization. In all of these cases, It’s not only time, but most likely it is past time, to update your resume and enhance your LinkedIn profile. 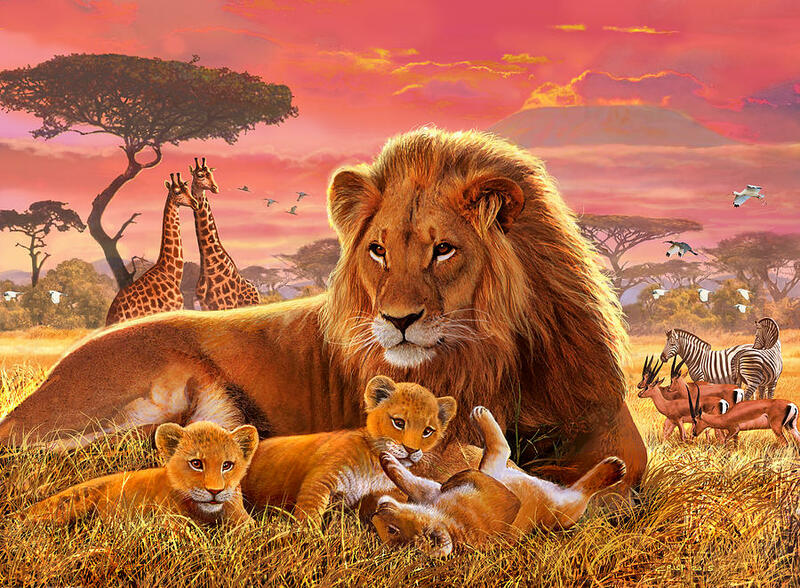 Think of it this way: Whenever a new male lion enters the picture, the first thing he does is … eat the cubs of the previous King of Beasts. Translating to the work place, this parable means the “old” employees from the acquired, merged or new management companies are immediately vulnerable. Can’t tell you how many times Almost DailyBrett heard laments from employees, who have been with an organization for 10 years, 15 years, 20 years, (gasp) 25 years. They expect their loyalty and experience to be recognized and rewarded. Alas more times than naught, their self-perceived loyalty is regarded as stagnation or “dead wood” by new management. Worst of all, these folks are shocked when they are sooner-than-later laid off or simply terminated/let go. During the course of my three-decade-plus career, the author of Almost DailyBrett quickly came to appreciate that virtually all of these changes serve as a warning, despite the tender contrary for the timing being words uttered by highly trained and incredibly skilled Human Resource professionals. Keep in mind HR works for the organization not for the worker, especially the long-time employee. When it comes time to terminate/lay-off/let go of employees, the clinical execution will be swiftly carried out by HR. Maybe Clint Eastwood was right about “Personnel” (What HR was referred to back in the 1970s). Let’s face it HR is not highly respected in any organization, a necessary evil … and in many cases, an evil indeed. Once your author went eyeball-to-eyeball with a vice president of HR and said, “I wish I could trust you.” There is another less tender way of expressing the same sentiment. The message is still the same. HR is not your friend. HR never was your friend. HR never will be your friend. What strategies should you adopt to preclude being one of the cubs voraciously consumed by a new boss lion, mainly because you have been at the old firm for way too long? Most new managers, particularly emanating from the outside, have their own views of how tasks must be done and they have their own ideas about who should be their lieutenants. Don’t even expect to be given the chance to compete for your own job, let alone a higher job in the hierarchy. Don’t confuse loyalty and stagnation. What is one employee’s loyalty is a new manager’s stagnation. If you can count your years with an organization with two hands or more, it’s time or past time to move along on your own terms. Never remind new superior(s) about how long you have been at an organization and the value of your experience. Instead demonstrate what you can do to assist their new future direction. The tried-and-true: “We tried that once and it didn’t work” will result in you being consumed by the new lion. Suing for age discrimination is a sure-fire loser. Who will want to hire you, if you “win” your suit? Most likely, you will be laid-off, requiring you to sign away the company’s liability in exchange for a golden kiss-off check. In Silicon Valley, three years at a given organization signals in many cases a lack of ambition and stagnation. You should always be looking to the horizon. When the recruiter calls stop, consider that as a negative barometer. Keeping “your powder dry” or “tie your camel” in the modern era translates into ensuring your resume, digital portfolio and LinkedIn profile are always up-to-date. It means scanning the horizon for other employment opportunities and applying for them from time-to-time if the fit is right. Be ready to pull-up-stakes, if necessary. The green grass maybe even greener in another venue. Renting maybe a better option than a mortgage. If your mortgage goes underwater that can turn a job loss into an absolute nightmare. In the week between your holiday of choice and New Year’s Day, you should always conduct a personal audit of your career. Recognize the subtle warning signs including not being included to important meetings and not being sought out for input from management. If it is time to move on, then do so on your own terms. There was always bad news, and even a glimmer of good news, with the traditional “Dear John” letter. The bad news was obvious: Your relationship with a particular mademoiselle or madame was finis. The good news was at least she knew your name and she took the time to pen a note and let you know the final score, even if she did not want to tell you in person or over the phone. You can’t say the same about a Dear applicant email sent robotically and clinically by a secretary on behalf of someone important with that special extra tender touch in which applicant (that would be you) is spelled in lower case. It’s even more special if its sent the day before Thanksgiving. Kind of makes you feel all warm and fuzzy inside. Almost DailyBrett has commented before about how digital technology (e.g., Web 2.0), despite its ubiquitous nature and 24/7/365 worldwide communication capabilities, has in many respects made it easier for organizations to deliver unwanted messages without any splash back. As the global economic malaise stretches into its seventh year (when will this funk be over?) with stubborn high-single digit/low-double digit unemployment and underemployment percentages, more-and-more qualified (and overqualified) individuals are competing for what seems to be fewer-and-fewer positions. Naturally, cool superstars with lofty market values (e.g., Google, Nike, Amazon, Apple, Facebook…) are overwhelmed by thousands of cover letters and resumes. Their respective Catberts (e.g., Human Resources Departments) cannot respond to every one of these applications. The problem is solved by automatically generated acknowledgement emails, immediately lowering the hopes of the applicant, setting the expectation that only the best and the brightest will be contacted for interviews. Fair enough. But what happens when the applicant hails from inside the organization? What happens when the applicant is actually encouraged to apply? What happens when an applicant has spent eight hours or longer running a gauntlet of interviews from the mail-room dude to the CEO, followed by the obligatory thank you notes, and knows that she or he is a finalist for the brass ring? These questions are magnified in cases in which applicants literally expended hours preparing targeted cover letters, updating CVs, securing reference letters and developing online or hard copy portfolios of work. All of the above are the price for competing and (hopefully) securing high five-figure or six-figure positions in today’s economy. After all of this effort and more on the part of the job seeker, is a terse Dear applicant kiss-off email from the executive secretary, appropriate? Wouldn’t you rather receive the equivalent of a Dear John (or substitute your own name), particularly from the hiring manager, instead? The next question that comes to mind is: What does the terse digital Dear applicant message say about the organization (e.g., corporations, agencies, non-profits, college or university departments) that treats job seekers this way? Almost DailyBrett opines that no one naturally wants to hear bad news. This is human nature and to be expected. More importantly, people want to be treated in a straight forward manner. Most of all, they want in the words of the legendary Aretha Franklin to be R-E-S-P-E-C-T-ed. The Dear applicant diss speaks volumes about the organization. It projects arrogance. It signals coldness. It conveys callousness. Come to think of it, does the job seeker really want to work for this organization? Is the hiring manager really a bosshole? The Edelman Trust Barometer has repeatedly reported that people are more willing to do business with companies that treat their employees well. That conceivably also applies to those who seek employment with a given company. “Never play with the feelings of others because you may win the game, but the risk is that you will surely lose the person for a lifetime.” – attributed to Shakespeare. And what about that poor sap, Teddy Roosevelt’s Man in the Arena who competed to the best of her or his ability, only to receive a “Dear applicant” message? That person most likely will neither forget nor forgive. That person could have been a future customer. That person could have been a major donor. That person could have a form of hegemony over the Dear applicant organization. The organization could have kept that person on a first-name basis. Instead the organization burned a bridge, and for what purpose? The Dear applicant epistle sent from an executive secretary, who could care less, is without any conceivable doubt bad public relations, poor reputation management and atrocious brand management all in one. These walk-the-extra-mile applicants deserve personal recognition, respect and to be treated with dignity, not a careless boilerplate message. Some very wise person said that once, maybe even one who received a Dear applicant kiss-off. “Hit the door,” said the irritated vice president of Human Resources. Carefully closing the door, I braced for an unpleasant message from the leader of all-things personnel. Holding up the company’s employee handbook, I was sternly reminded by Lou Mauerbruecke* about corporate rules expressly and clearly stating that one cannot solicit fellow employees in a business setting. Sigh. No wonder everyone hates Human Resources. Right, Catbert? Trembling, I had flashbacks of being called into the principal’s office back in high school for being less than precious. And I can still see the dusty trash-laden hillside that needed to be cleared during my hot Saturday morning detention. This time my crime against humanity and the pursuit of the bottom line was much more egregious: I was busted for selling Girl Scout cookies at work. 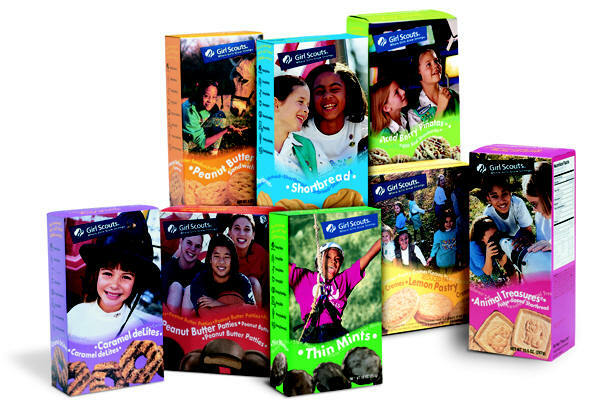 Yes, those evil-and-sinister Girl Scout cookies. Anybody who remotely knows me would not drop me into the “rebel” demographic. I have no tattoos, weird-place piercings and occasionally I even take a peek at Bill O’Reilly on (gasp) Fox News. And yet I was the equivalent of Martin Luther going against Rome, pounding the Ninety-Five Theses on the church door and subsequently being ex-communicated by Pope Leo X. As I reflect back to that awful day (I still have flash-back nightmares about this incident), I ask myself whether my sin was venial or mortal. Allow me attest that my transgression was meek and mild. Is there any product on our sustainable planet that has a better brand image than Girl Scout cookies? What will it be for you? Do-Si-Dos™? How about Samoas®? Tagalongs®? Thin Mints? Trefoils? Come on…You know you want them all, and you want them now. Apple at $87.1 billion in brand equity may have the most valuable-and-lucrative corporate moniker according to Forbes, but have Girl Scout cookies ever fallen from $705.07 to $419 on anyone’s personal stock exchange real or imagined? Apple always has to develop a 5G in the aftermath of 4G, and a 6G to follow the 5G, but Thin Mints will always be Thin Mints. Trefoils will always be Trefoils. Everyone likes it that way. Subsequent product generations are not necessary. The point I made to Herr Mauerbruecke was that Girl Scout cookies literally sell themselves. Besides I was acting in a similar manner to so many other parents as I was helping my daughter. Lou didn’t seem to care. As the head of corporate public relations, I took the risk of raising his blood pressure…alas his ticker led to his ultimate demise…and asked him whether it was smart public relations to bust someone for hawking Girl Scout cookies. Can you imagine being “walked” out the door for selling Do-Si-Dos, Samoas and Tagalongs? What if the media found out? I can see the headlines in my mind’s eye. Yes I know exactly what the employee handbook says, but I was not trying to sell a Mercedes-Benz, a Silicon Valley townhouse or a Mexican time share at work…These are friggin’ wholesome legendary cookies made from sugar, dough and so many other wonderful artery-clogging substances. Might as well go six-feet under with a smile on your face. Lou settled down and realized that I was right in being wrong. There are some rules that are not worth requiring someone to drown or burn at the stake. It was time for common sense in the name of good public relations. How about if I simply placed the Girl Scout cookie sign-up form face up on the meeting table in my glorified director of corporate public relations cubicle? If someone from the chairman and chief executive officer down to the vice president of Legal wanted to sign up…how and why should I stop them? Technically, I am not violating the sacred employee handbook if they are acting on their own free will in ordering Girl Scout cookies? This is a Democracy. Right? We had the makings of a compromise. We could raise taxes and reform entitlements and everyone would be happy? Let’s forget that analogy. To quote the late Neville Chamberlain, it was “peace for our time” and we could all go back home and “sleep quietly in our beds.” “Jerry” promised to be good. As a result of our compromises, the selling of Girl Scout cookies was quietly allowed once again in a corporate environment, and I could continue to put food on the Brett household table. Everything was just so Do-Si-Do. * The actual name was changed to protect the memory of a friendly colleague. May he rest in peace. Recently, a fellow public relations graduate school classmate was excited about her prospects of landing a position with Intel Corporation. 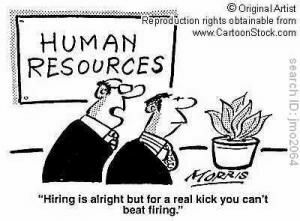 The only problem was the job was in Human Resources (with all due respect to those in HR). 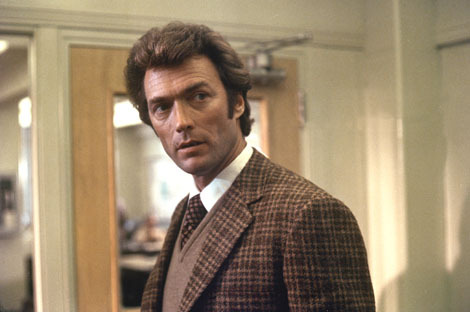 I couldn’t help but immediately think about Dirty Harry’s reaction about being reassigned to “Personnel” in the 1976 feature film, “The Enforcer.” This point is amplified by his one-syllable response to Captain McKay informing him about his 10-year tenure in what we now label: Human Resources or HR. My serious concern for my academic colleague had absolutely nothing to do with the largest semiconductor company in the world, Intel, but the position itself. Instinctively, I took into account that jobs are precious in this lethargic economy, even at a time in which we are celebrating the nation’s unemployment rate “declining” to 7.7 this past November as more-and-more job seekers give up the hunt. In particular, I urged caution to her about inadvertently heading down the path to pigeonholing. She could record 10 years in human resources and suddenly come to the realization that she is permanently dropped into the lethal “HR” bucket. If she subsequently wanted to shift her career back to public relations, marketing, advertising etc. 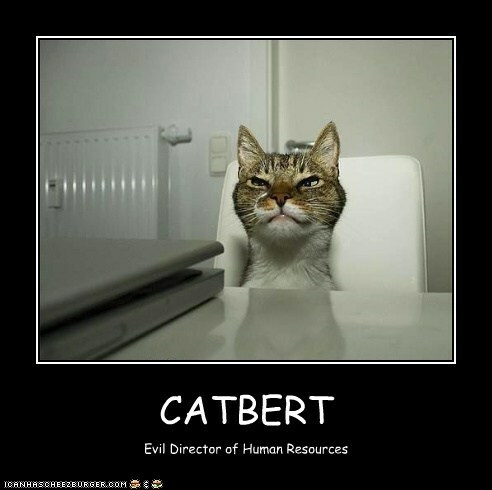 — what she actually studied as an undergraduate and in grad school — she may find the doors closed for her because she is now permanently branded as a “HR” professional, similar to “The Evil Director of Human Resources, ‘Catbert,’” in the Dilbert cartoons. Another example is one of my students, who was saddened that he lost out for a retail management trainee job for Macy’s. This may have been a blessing in disguise unless he really wanted to spend his life in retail, which very well could have been the result if he was “successful” in attaining this particular job. The point of this epistle is that we live in an increasingly demographic world and there is no going back. Think about how everyone is worshipping at the altar of Barack Obama political guru David Axelrod because his team correctly projected that 72 percent of the electorate would be composed of white voters…a number too low to elect Mitt Romney. The exercise was to identify single women, African Americans, Hispanics and young voters and target the GOTV campaign (Get Out The Vote) to these demographic groups in their respective buckets. Some of this segmentation is obvious: Males and females; married or single: young or old. And someone is always dividing and subdividing each subgroup into tiny slivers to determine buying and behavior patterns for political or monetary gain. From the Census to Facebook, we are compulsively segmenting people whether we like it or not (e.g., privacy advocates). From the Spartans to the Athenians, the Hatfields to the McCoys, the North and the South, Red States and Blue States, Israelis and Palestinians, we have a long history of putting people into groups. In Alabama, it is the red and white of the Crimson Tide or the blue, orange and white of the Auburn Tigers. There is no straddling the fence in ‘Bama. So does someone specifically trained in the verbal, written, digital media and communications choreography skills of public relations want to wake up one day and ask: ‘How did I become saddled in Human Resources?’ I am fearful that the lousy economy of today may result in some very painful and for the most part irreversible results a decade or more from now. Should a graduate turn down a “position” in this crummy economy to avoid the dreaded pigeonhole? Or should that same graduate take a “job” to keep food on the table and gas in the tank, while continuing to search for the position that fits her or his career? This is a difficult predicament. And in many ways, it is an easy answer. Choosing between Auburn and Alabama is tougher. When it comes to the most influential target audiences for publicly traded companies, they can be essentially boiled down to the acronym “CEO”: Customers, Employees and Owners. Company executives have long championed “serving customers” and “creating shareholder value” and they should continue as these two groups drive revenues and enhance market capitalization. Unfortunately the same level of enthusiasm is rarely afforded to a company’s number one asset, its employees. One obvious reason is that the care and feeding of employees represents the lion’s share of the expense side of the ledger. These costs are not just salaries, but a growing array of benefits, incentives and government mandates (e.g. parental leave). Despite this overall lack of attention on “E,” the nation is nonetheless transfixed on the stubborn 9.7 percent unemployment number, particularly that “only” 36,000 lost their jobs in February. The U.S Department of Labor’s Bureau of Labor Statistics reported a total of 14.9 million unemployed; 8.8 million forced to work part-time out of economy necessity and 1.2 million discouraged workers, who don’t believe a job exists for them http://www.bls.gov/news.release/empsit.nr0.htm Add it all up and we are talking about 25 million unhappy people in a nation of 300 million. We should also keep in mind that DOL also reported that 138 million Americans are working. Many of these workers are saddled with lousy bosses or have limited upward mobility and feel trapped in their jobs because of the nearly double-digit unemployment and the lack of alternatives. This scenario seems to be gradually changing, which means that the “E” for employees could soon be receiving comparable executive attention, if not love, as the “C” for customers and the “O” for shareholders. Failing to attract or losing the best and the brightest is extremely costly to companies. I have seen figures up to $60,000 to replace each management or high-talent employee, when search, training and lost productivity is included in the equation. For example, technology companies are particularly vulnerable to the potential loss of software and/or hardware engineers. Financial services firms rely on investment bankers, fiscal analysts, accountants and controllers with MBAs to demonstrate gravitas to clients. So what should companies do in this shifting economic environment to provide for the proper care and feeding of their valuable employees? ● Don’t wait for “retention” to become a major problem; make it a priority right now. The recession is over and the choppy recovery has begun. This is the time to challenge your employees, add to their responsibilities, listen to their concerns, provide them with growth paths and let them know they are key players in the success of the company. Before going out and recruiting away employees from competitors, companies should be concerned about protecting their “base” employees from rival cherry pickers. ● Engage and over-communicate with employees, including using low-grade technology in the form of CEO all-hands meetings with PowerPoint graphics. The purpose is to not only share business strategies with employees, but to listen and hear their concerns as well. Use corporate intranets to publish stories, announcements and blogs about the company’s direction and accomplishments. Ditto for social media, encouraging employees to read about the company and its brand-building activities via Twitter, LinkedIn.com, Facebook and others. ● View Investor Relations, Corporate Public Relations and Employee Communications as being linked. A high percentage of employees in publicly traded companies, particularly technology and biotech, participate in ESPP (Employee Stock Purchase Plans) and stock option programs. They are very interested and savvy investors in the company’s stock and that contributes to market cap. Corporate positioning should be outward to investors, customers, suppliers, partners, analysts and media, and also inward to investing and contributing employees. ● Consider having Investor Relations, Corporate Public Relations and Employee Communications report to the Chief Financial Officer. In many cases Employee Communications reports to Human Resources, which used to make some sense, but becomes less so with even greater SEC scrutiny on fair-disclosure issues. Naturally, Employee Communications should interact regularly with HR, particularly on benefits, but the CFO holds more sway on investor issues, corporate development, strategic acquisitions/integration and the reasons behind restructurings and layoffs. 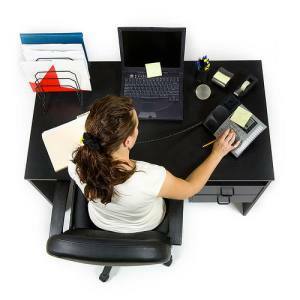 ● Sweat the details when it comes to the “management style” of middle managers. Do they micromanage? Are they arrogant, unreceptive and simply fail to listen and hear legitimate concerns? Do they have their own agendas? Should they be managing people in the first place? Let’s face it; bad bosses will eventually erode morale and prompt more good people to run for the exits, particularly in an expanding economy creating new opportunities. As both a physical and economic spring returns to the landscape, it is time to make the care and feeding of employees a major priority. Cherry picking is a growth industry. The best defense is a good offense. It’s time to make employee communications a priority.